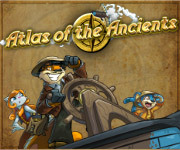 Welcome to the home TDN's coverage for the Atlas of the Ancients Plot. We are very excited to bring you up to the minute help and have all of the current and past solutions for you to use. You can rely on us to keep you updated; be sure to bookmark this page because we'll be updating it constantly. Be sure to read each solution carefully so you do not miss out on minor details. Be sure to start at 1 and work your way up; plots must be completed in a specific order. We've numbered each step in order, so it's easy to follow, read, and understand. Use the table below to start or pick up where you left off. Travel with our brave explorers on a quest to help Neopia! Challenges of every kind await! The Snowager is awake. He'll be sleeping in 3 hours, 47 minutes.